You want it; you got it — it’s as simple as that. We make it possible to find just what you need to motivate your staff. Through employee recognition programs that are tailored specifically to your company and its goals, Award Concepts helps you figure out better ways to boost employee loyalty, improve company morale, drive good performance and make your staff eager to move forward. Award Concepts gets to know you and your business so we can craft the kind of company recognition programs that you’ll love using. In fact, we take it one step further. Don’t know exactly what you want? Not sure what type of program is going to best meet your needs … and knock the socks off your employees? Surprise: It’s still simple! 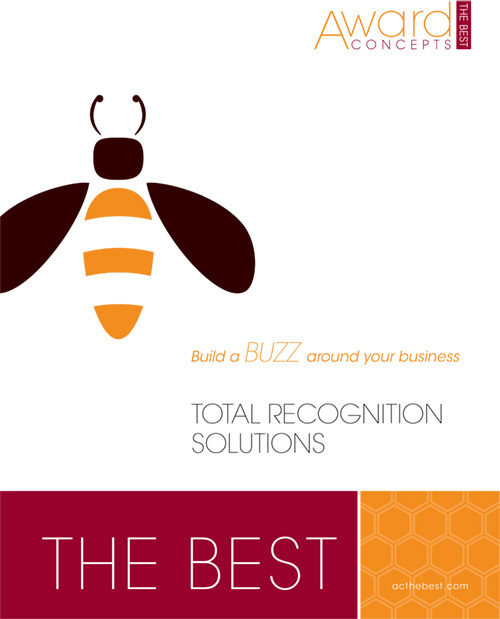 Talk to us about creating the kind of company recognition programs that work! There are so many ways to reward your employees — for a job a well done, for years of service, for meeting a sales goal, or for never missing a day of work. Years of Service: Let your most loyal employees know you’re loyal to them, too. Use years-of-service awards to honor the length of time someone has been with your company. Above-and-Beyond Performance: When someone goes above and beyond standard service, reward their efforts in a noteworthy way. The above-and-beyond performance reward highlights those who have gone the extra mile. Employee of the Month/Year: Highlight the work of a specific individual through an employee-of-the-month or employee-of-the-year program. We’ll help you choose gifts that reinforce hard work, communicate appreciation and instill confidence in your team. Safety Performance: Draw attention to those who have maintained superior safety standards or gone a certain amount of time without accidents in the workplace. Retirement: When someone retires after years of service with your company, let everyone else know you value long-term commitment. Honor retiring employees to create a company culture of appreciation. Sales Incentives: Treat your top sales performers to rewards that keep them motivated and eager to earn! We offer tangible recognition ideas to enhance your results. Peer to Peer: Create a culture of mutual honor through peer-to-peer incentives. When colleagues are nominating employees for rewards, the results are even more powerful. Everyone has a reason to notice others’ work and call attention to it. Attendance: It’s easy to miss work for illness, vacation, tragedy, etc. When an employee has beaten the odds and been faithful to come to work each day, let him or her know you notice. Tell us about your day-to-day challenges and overall goals. Together, we’ll draft a blueprint for your strategy and begin building a recognition program just for you. Rewarding someone with jewelry is a great way to show you care. Award Concepts offers custom pieces made in-house — so you can create just the pin, ring or other item that your employees will be proud to wear. Badge accents— you’ve got to see this! And it’s pretty safe to say you’re going to enjoy the whole process. Can any of those “other guys” say that? Didn’t think so. That’s a lot of “I”s, but it’s still all about “U”. Without innovation, we’d be just like those “other guys.” We wouldn’t have nearly as much fun doing what we do … and neither would you! Take a look at what sets us apart and makes us THE BEST. When you’re ready to talk about the possibilities for employee recognition gifts and awards programs, get in touch! Award Concepts is here to help you. Give your staff Total Recognition! That’s saying "Thanks, glad you're here" any day of the year. Check out all the super-simple, super-effective ways we can help you build a culture of appreciation in your company.